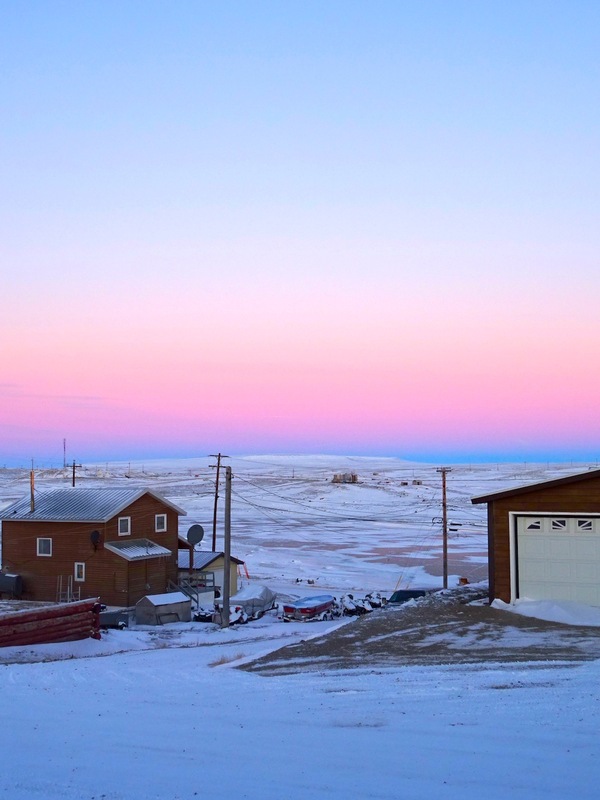 No one looks to Nunavut’s sprawling federal riding for a bellwether community to predict voter tendencies during an election — but if there were such a Nunavut community to look at during this past federal election, it would have been Cambridge Bay. 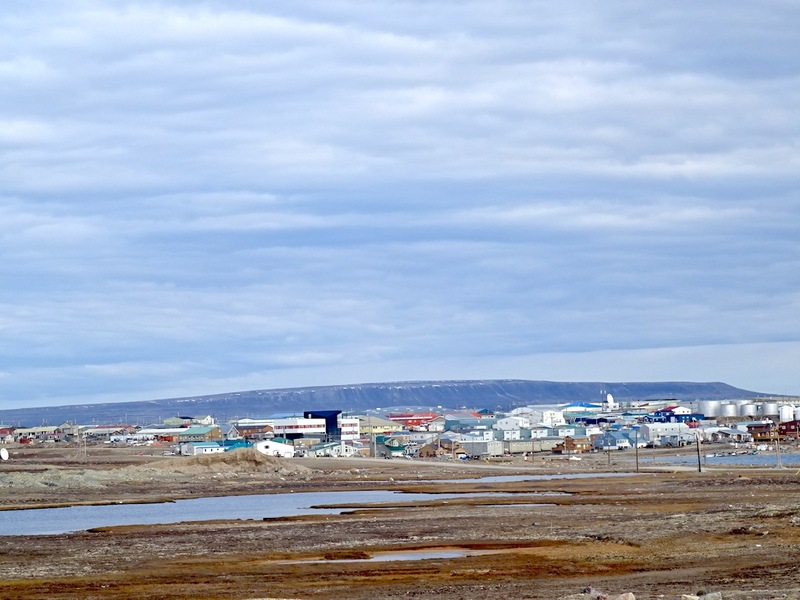 It was in this western Nunavut town that former Nunavut MP and Conservative cabinet minister Leona Aglukkaq started her political career as a hamlet councillor In 2011, she easily carried the community — and Nunavut — in the same way that the Tories won the national vote. 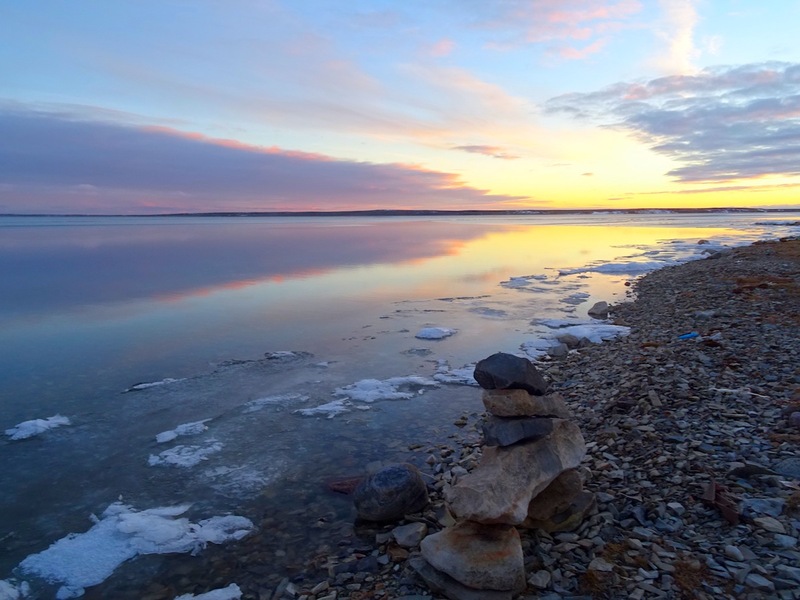 Cambridge Bay, which is never short of news (and previous blog post inspiration) and where I have many friends, seemed like a good place to sit out this federal election. So I arrived in Cambridge Bay on Sept. 13 and left Oct. 20, the day after the votes were counted. How the Oct. 19 vote would shape up in Cambridge Bay became clear to me over the weeks as I watched the scenery change and the ice solidify — like opinions among voters. When I arrived, Cambridge Bay was still in the last days of its longer-than-usual summer. Then, the days became colder. 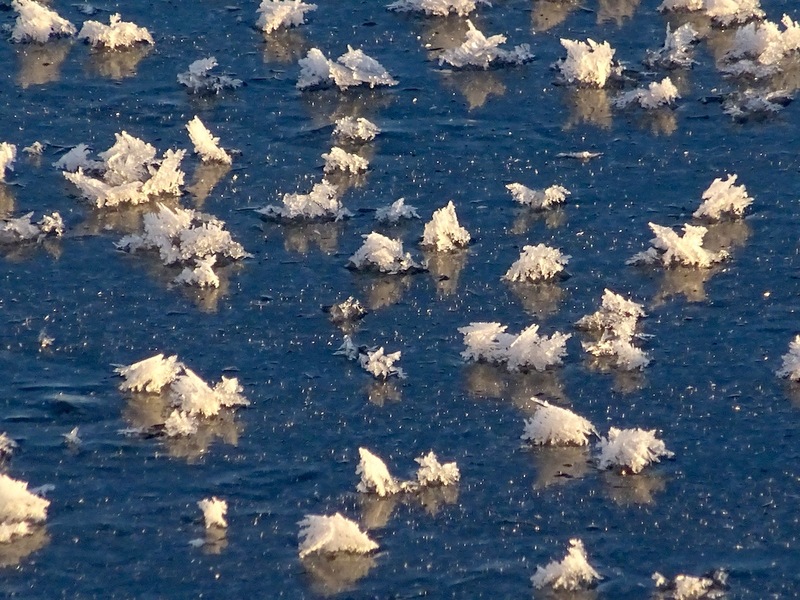 One afternoon I spotted a field of frost flowers, spreading over the thin ice. The sunsets began to turn unreal shades, with a layer of bright pink mist over a darker blue sky. In mid-October, the weather turned even colder, just around the time when Liberal leader (and now Prime Minister) Justin Trudeau visited Iqaluit. There, among other things, he served up stew to hungry people at a community feast. 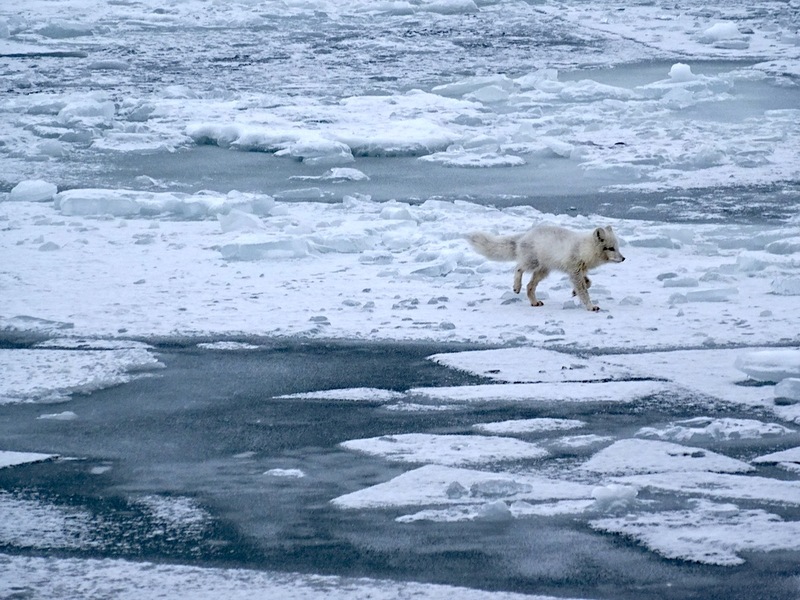 In Cambridge Bay, everything iced up and the foxes started to turn white. 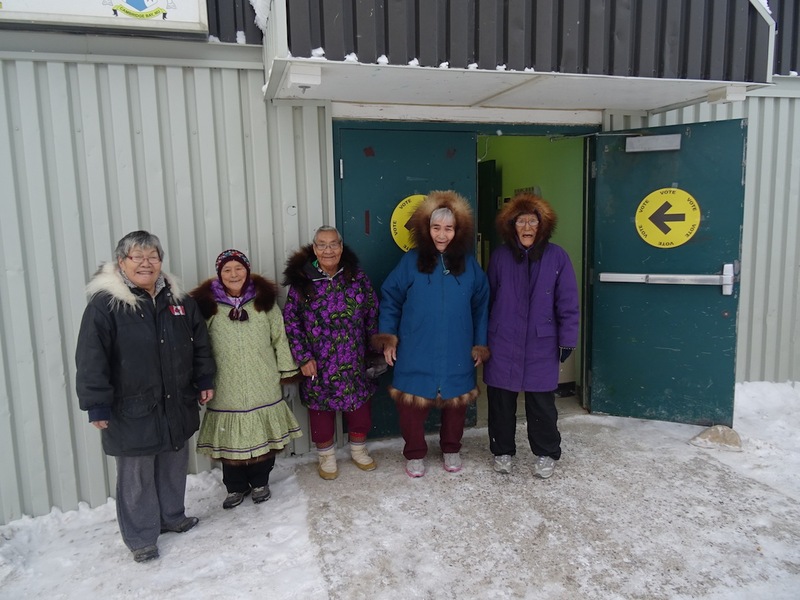 Meanwhile, the three main party candidates also visited Cambridge Bay to campaign — Aglukkaq keeping a low profile, but the Liberals’ Tootoo and the NDP’s Anawak getting out and meeting people. Signs for Tootoo cropped up over town. A homeowner kept a “Stop Harper/ Nutqarrit” sign posted on his house. Students at the local high school voted for the NDP in mock election. And many people talked to me about wanting change. I decided to write a story for the Nunatsiaq News Oct. 18 about the the mood in Cambridge Bay, and that this Tory stronghold was leaning to the Liberals and NDP, as story which you can read here. And on election day I went to the community hall to speak to voters after they cast ballots. I took a photo of elders after they came to vote, a photo that circulated among thousands of people on Twitter. I was careful to tell everyone I spoke to who I was (if they didn’t know me) and ask them only why they felt it was important to vote — not who they voted for. A couple with a small child told me “we need help.” The North is crying out for help, they said, because they can’t survive on the $1,300 they receive every month from social assistance. “There’s nowhere to turn for help,” they said. And the cost of food is so high that why said they couldn’t afford even a pound of hamburger, so they and others turn to the dump to scavenge for food. I didn’t have to ask which party they voted for. 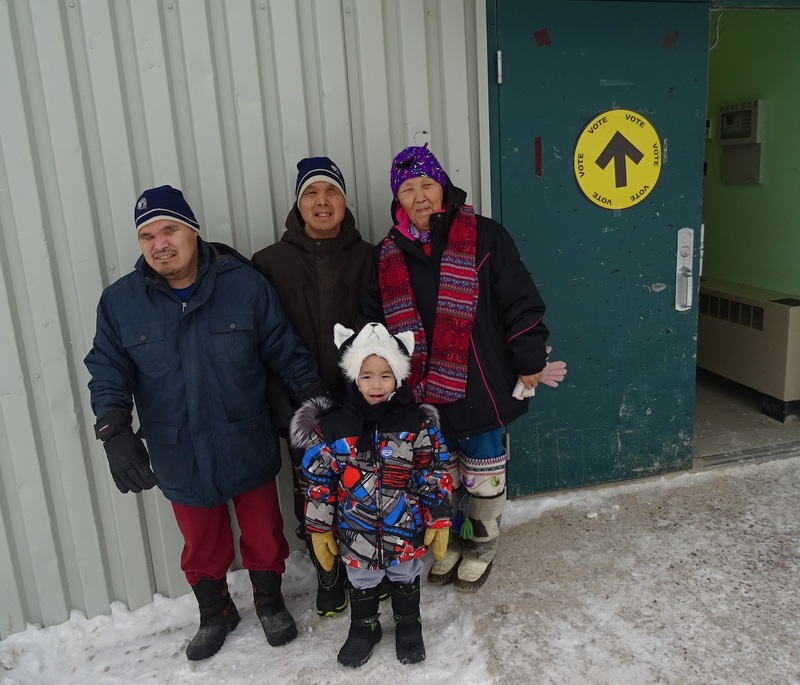 Throughout the day a steady stream of voters came to vote — and the numbers would show later that, while Aglukkaq held on to her vote from 2011, turnout increased, and three times as many voters in Cambridge Bay came out to support the Liberals and the NDP than the Tories. 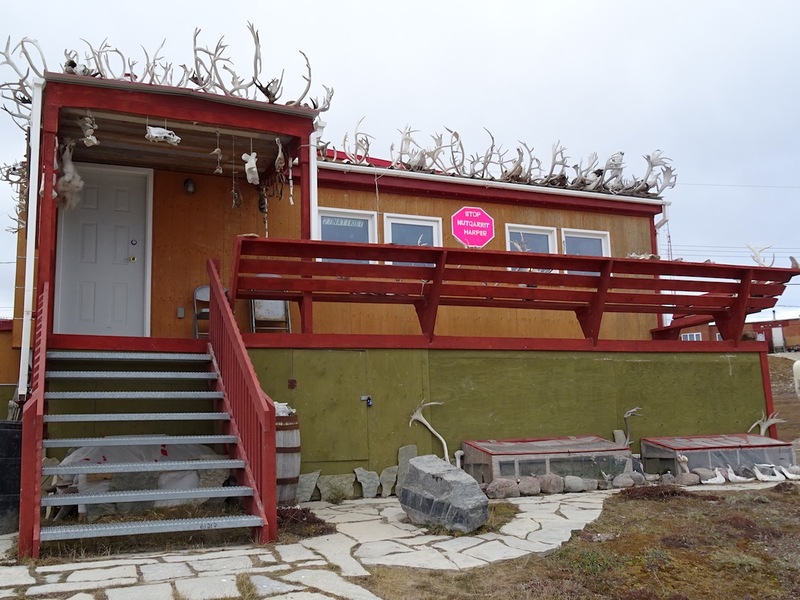 So, more than 500 voters were happy Oct. 20 — but not Aglukkaq’s friends and supporters. One woman wrote me a couple of unpleasant messages and then a comment on Facebook — that made me think again how it’s much harder to report the news in Canada’s North than not. After I posted the photo of my friends voting on my Facebook feed, I received this comment Oct. 20 from a friend and supporter of the former Nunavut MP Leona Aglukkaq. I was able to delete the comment and block the woman on Facebook: sort of a solution. But I was reminded again that, in a small Arctic community, you live beside people who may dislike you and bully you into being quiet — a tough situation for people who can’t leave (but one I saw in the 1990s and you can read about here or in a recent two-part series by Nunatsiaq News reporter Thomas Rohner).